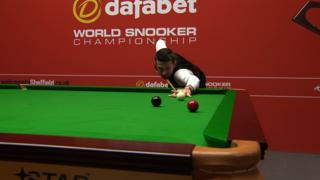 Mark Selby beat Ali Carter 13-9 to progress into the quarter-finals of the World Snooker Championship. Selby, the 2007 runner-up, led 9-7 going into the final session and won the next three frames before Carter stopped the rot with a break of 57. Two-time runner-up Carter narrowed the gap to 12-9 before Selby clinched the final frame 82-19.